How do we judge whether a person is successful or not? It is easiest to place our individual values on others – after all, our values are the constructs of the glasses we view the world through. Certain people however, elevate themselves above the individual value-based constructs to be judged more globally as either successful or unsuccessful. Bill Gates, Jean Chretien and Michael Jordon seem to land in the former, while Bernie Madoff, George W. Bush and Ben Johnson fit the latter. It is important to note, though, that all 6 personalities were considered extremely successful at one point, and can easily argue that they still are. So that begs the question…how do we judge success? Scott Frandsen is someone who fits into the globally-accepted successful column. Scott took up rowing as a second sport to golf late in high school. As a ‘walk-on’ at university he muscled his way on to the best college rowing team in the States at the time. He was awarded a scholarship only after he proved himself more useful than the full-ride kids. Then he went on to win a couple of national championships for the school while completing a BS in Business Administration from the University of California. He went on to finish a Masters of Psychology at Oxford University a few years later. The letters behind his name are worth a few dollars, mostly paid for through Scott’s grit and talent. While in England, he also happened to win the most watched, oldest running rowing event in the world, the Oxford/Cambridge “Boat Race”. 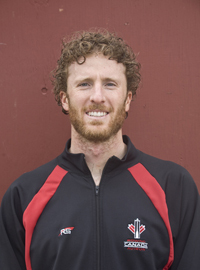 Upon returning to Canada Scott had to prove his valour once again with the national team, and within a year had indirectly knocked me out of a seat in the defending world champion 8+, heading into the Olympics. His dreams weren’t realized in Athens though, and four years later, kilometre after kilometre of training under his belt, he won an Olympic silver medal in Beijing. I’m tired just writing about the things he’s accomplished…you’d think he might take a break. Not Scott! It’s guys like Scott who continually redefine what success means. One might think that after a life-long pursuit of excellence in sport, Scott might want to sit back and relax. You know, maybe get a job in the public service. Not Scott, no. Over the last year, between a few injuries and a lot of stress, Scott trained for and competed in triathlons, building up for Ironman Canada. Last weekend Scott raced and finish Ironman Canada. 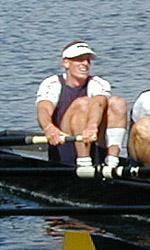 In rowing we trained for hours on end, week in and week out, month after month for years – for a 6 minute race. On Sunday, August 30th, for 10 hours, 41 minutes and 16 seconds Scott raced to prove something to himself. He raced to redefine success one more time. He raced because life did not end on August 16, 2008 in Beijing China. Scott looked for the next great thing. Well done Scott. 2. You MUST always look for the next challenge.